Łódź is a city of contrasts. Our Polish friends (although Varsovians) wrinkled their noses in disgust when we said we were going to Łódź (which is pronounced like "Woodge"). However, none of them had visited Poland’s third largest city for more than 10 years! 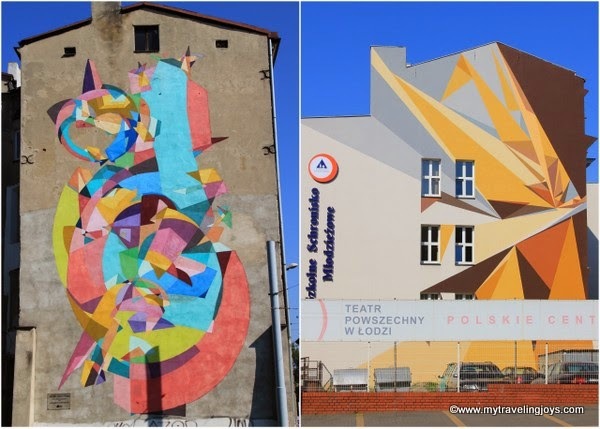 On our Polish road trip in August, we discovered that Łódź has a pretty side as you walk down ulica Piotrkowska, the longest pedestrian street in Europe. The ugly side rears its head as you wander off the side streets and see dozens and dozens of neglected, old tenement and factory buildings falling into ruins. 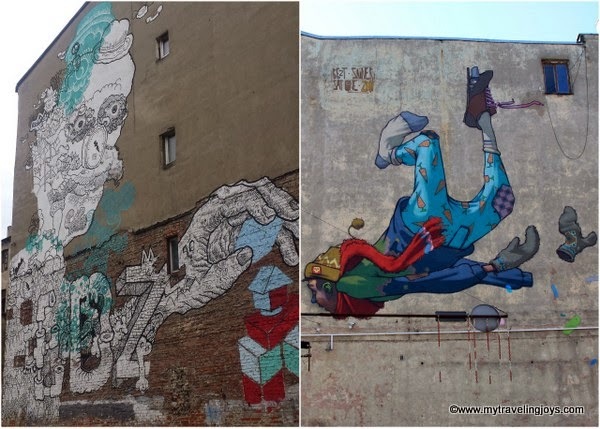 But then, amidst the good and the ugly, you’ll discover a cool, artsy, hipster vibe to Łódź, which is home to more than 30 gigantic street art murals. This is why we decided to stay a night in Łódź so we could explore it properly. This is one of my favorite murals located at ul. 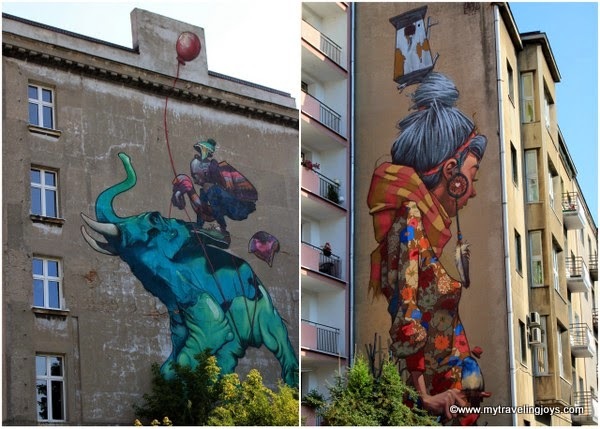 Pomorska 67 by Spanish artist ARYZ. 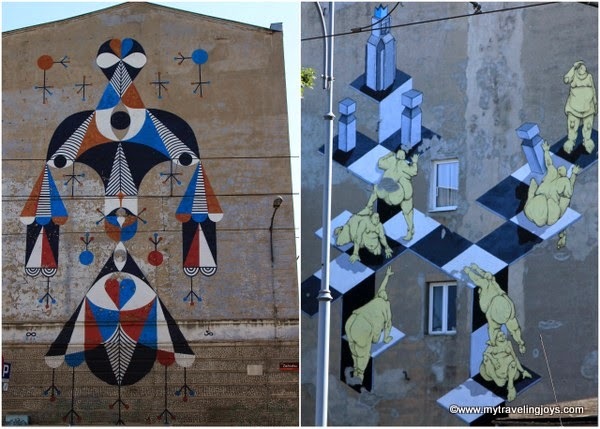 We saw 16 out of 35 of the large Urban Forms murals plus a few extra that weren’t on the map. Hope you enjoy this photographic journey through Łódź as much as we did! wow...how very cool! i would love to see this in person! Having seen what you can do with a drone, I'd love to go back and try with one. How fun, I love stuff like this! I've just learned that Riga had a similar festival last spring to brighten up drab neighborhoods. Now I need to go in search of all the murals! Yes! A drone would be very cool to use! Hi Heather! That's great and definitely worth finding. Good luck! Amazing - They must errect scaffolding to get these done.